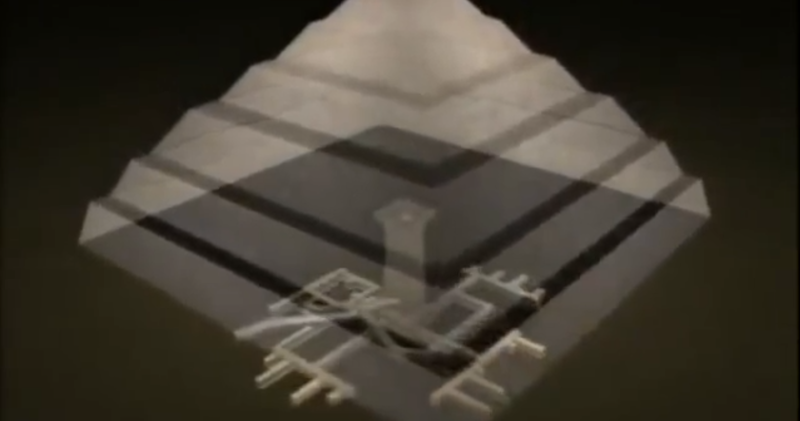 shaft-tunnels-step-pyramid-djoser2 | Could Joseph and Imhotep have been the same person? The step pyramid was constructed on top of a shaft that contained the Sarcophagus of Djoser. The shaft was probably the prototype, or first generation, of grain silos that Joseph / Imhotep built to store grain. When King Netjerikhet (Pharaoh Djoser) died in the 5th year of the famine, it was converted into a tomb for the Pharaoh. The Step Pyramid, which is really a series of mastabas stacked on top of one another, was constructed on top of the shaft after Djoser’s death.